Levitas (center) is shown with Iowa State University President Wendy Wintersteen and Senior Vice President and Provost Jonathan Wickert after being recognized with the Anson Marston title (Christopher Gannon/Iowa State University). 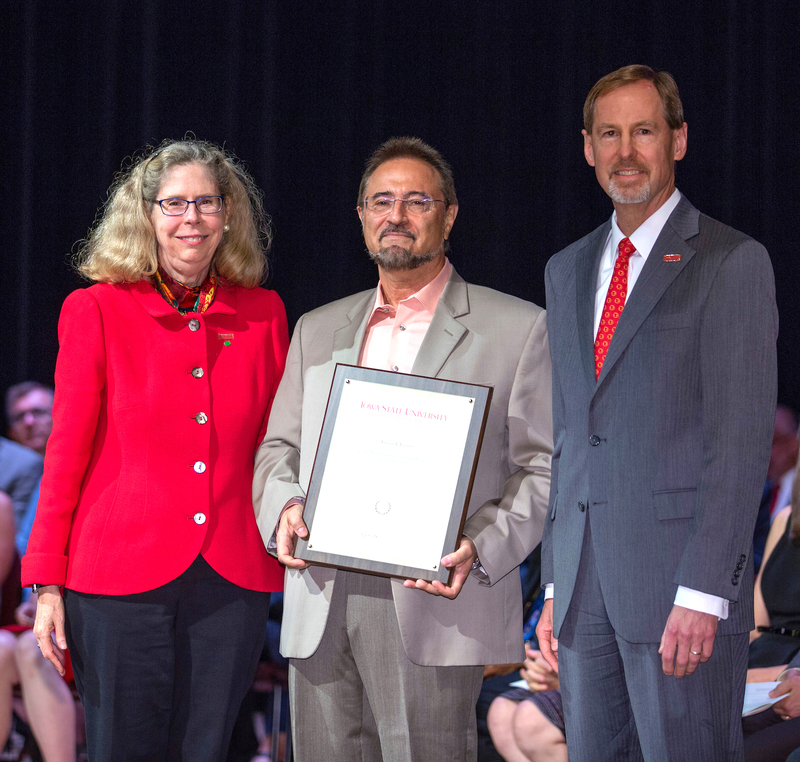 Vance Coffman Faculty Chair Professor of Aerospace Engineering Dr. Valery Levitas was officially honored as Anson Marston Distinguished Professor in Engineering in the recent university award ceremony. Levitas was named to receive the Marston designation in May of 2018. The title of Distinguished Professor is the highest academic honor the university bestows. It recognizes a faculty member whose accomplishments in research or creative activities have had a significant impact on his or her discipline, and who has demonstrated outstanding performance in at least one other area of faculty responsibility. A complete list of College of Engineering honorees in the university awards ceremony can be found here.